Cherry City Waxworks has a new booking app. Download it today! Cherry City Waxworks mobile app for Android and Apple. Forgive me Marilyn Monroe but diamonds aren’t always a girl’s best friend. Especially nowadays in the age of smart phones. What a girl really needs is a killer App. And Cherry City Waxworks is happy to announce we recently launched our own App. Besides providing our clients a way to book appointments online, clients can download our free App and make appointments, get directions, view our latest Facebook updates, read our blog and much more. I tend to think of my computer as the big purse I carry to hold everything and my phone as a wallet where I put the essentials. While I love Cherry City Waxworks online booking that can be done on your computer, I am even more excited about having an App that’s easily accessible wherever you take your phone. I have a few friends –who I adore but are not the most tech savvy – who get a little intimidated by downloading Apps. 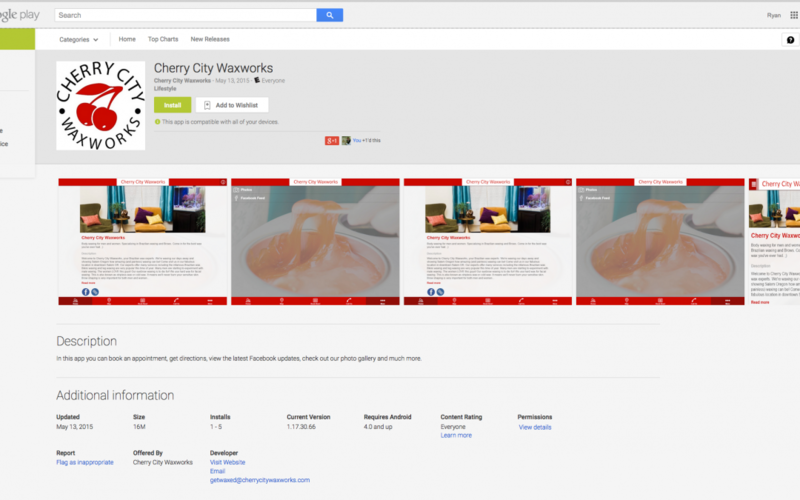 In the search field, enter Cherry City Waxworks. Wait for the App to appear on your phone’s screen. Happy dance that it is loaded. Tap App Store on your iPhone, iPad, or iPod Touch to browse and buy apps on your iOS device. Click the More icon (three dots) in the upper-left hand corner of the window. To buy apps, you need an Apple ID. If you don’t have one, you can create an Apple ID in iTunes, or on your iPhone, iPad, or iPod touch. Learn what forms of payment you can use to buy apps and other content. Apps you download in the App Store appear in your iTunes library, but you won’t be able to use them on your computer. Use iTunes to sync apps with your device. I am quite sure if Marilyn Monroe had access to our free App, she would be making an appointment to be ready for all her summertime engagements. And she would be changing the words to her song to be, “Cherry City Waxworks’ App is a girl’s best friend.” We are eager to offer this new and free App to our clients and we hope you find it easier and fun to use. We welcome any feedback you may have.